As a copywriter, Jennifer Wobser delivers compelling content that shares a brand’s unique personality while creating measurable results. She has experience writing strategic copy for clients in a wide variety of industries, including industrial services, healthcare, retail, and the restaurant industry. Jennifer has experience both in an agency environment and as a freelancer, where she has created content for websites, press releases, social media campaigns, print and digital ads, and more. As a classically-trained singer, Jennifer compares perfecting a brand’s voice to switching genres in music: just as she uses different techniques to sing jazz than opera, she has the flexibility to use the right copywriting techniques for each client’s individual brand. 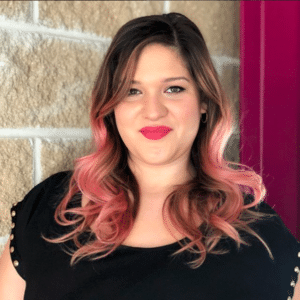 When she’s not thinking of more parallels between music and marketing, she enjoys singing with the Houston Symphony Chorus and spending time with her family.